Citizen of the World: White Sunnies! 1). ASOS - can be found here! 2). Urban Outfitters - can be found here! 3). Etsy - can be found here! 4). Top Shop - can be found here! 5). ASOS - can be found here! Love the shirt.I just get me one in blue today.You look amazing.I'm following you. Would you like to check out my blog and follow me? These wedges are great and I Love the white sunglasses! Great look! 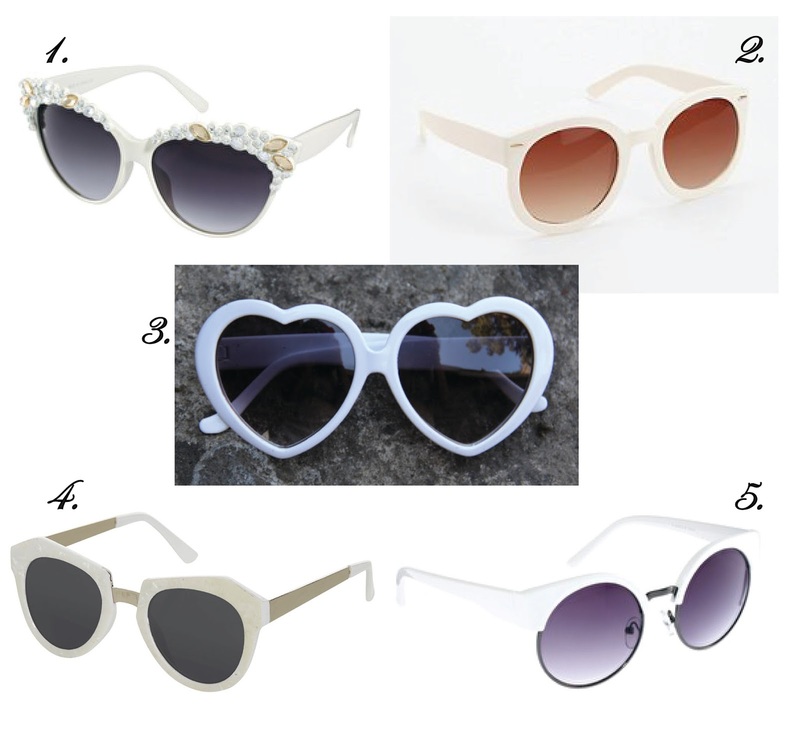 The white sunnies look awesome on you! 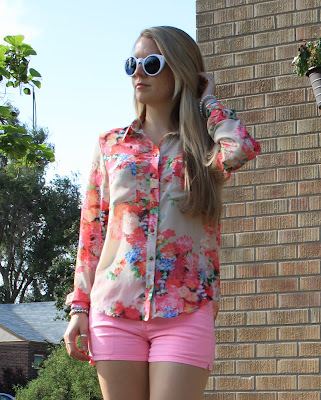 Lovely blouse, is so feminine and summery! The white sunnies add so much freshness! cute sunnies! i'm a sucker for white! Wow, this outfit is so pretty and summery! i'm loving this outfit! 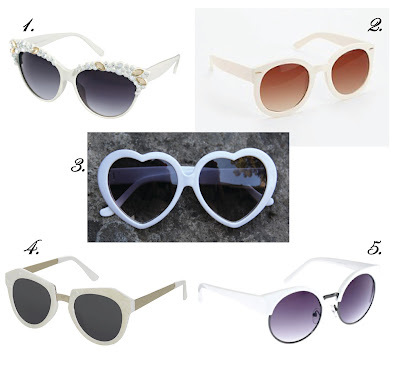 you can never go wrong with white sunglasses :) great post!